We’re all familiar with the BYOB concept (it’s when you bring you own booze to a restaurant or eatery without a liquor licence), but if you’re heading out with a bunch of friends that can get pretty pricey. Why not BYOV (Bring Your Own Vodka!) and drink better while saving some cash! Afraid that a restaurant that doesn’t serve booze can’t make great cocktails? These 6 simple recipes can be made at any place that serves even the most basic beverages, so order up a couple glasses of mixers and do it yourself! This classic cocktail only has 2 ingredients: Clique Vodka and grapefruit juice! Squeeze in some fresh lime juice for a bit more acidity! Top off a summer favorite with an ounce of Clique Vodka for a refreshing cocktail that pairs with just about anything! This fruity cocktail had been around forever- and for a good reason! 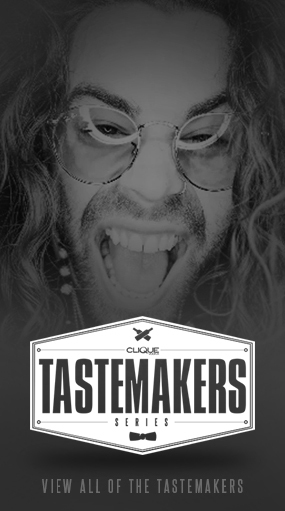 What happens when you add a bit of Clique Vodka to a ginger ale? Wonderful things if you can get your hand on a wedge of lime too! Clique Vodka and soda with a splash of cranberry for some color goes great with lime too! Send us over some shots of you and your Clique sharing some delicious BYOV cocktails at your favorite spot by tagging your Instagram photos with #Cliqueshots! Who knows, you could even be randomly selected to receive a free custom shot glass with your pic on it! 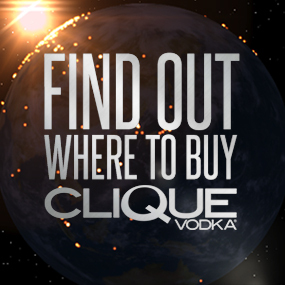 Want another cool way to enjoy Clique Vodka when you go out? Try picking up a Shotpak or two!